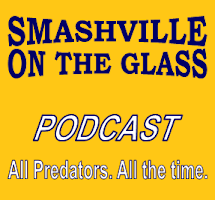 After a few weeks of relative quiet after the Predators recent dismal season, the news was fast and furious in the last 24 hours. On Monday night, the news leaked out from Blues broadcaster, Darren Pang that long-time associate coach Peter Horachek had been relieved of his duties. Confirmation of the firing came on Tuesday. Then, it was announced that former NHL defenseman, Phil Housley has been named an assistant for the Predators. Housley is one of the best offensive defensemen to have played at the highest level and should bring a much needed offensive spark to the Nashville team. After a surprising 6-2 record in the first round of the playoffs where I erred on my picks of the Canucks and the Ducks, I will continue with more picks from the couch in the hastily started second round of the playoffs. I got a note from friend and Cellblock 303 founder Mark Hollingsworth about the upcoming FCA hockey clinics that will be held at A-Game Sportsplex on May 17th and 18th. It sounds like a good opportunity for kids at the rock bottom price of $20. With most camps and clinics in the hundreds of dollars, this looks like a bargain. The Fellowship of Christian Athletes (FCA) will be providing two hockey skills clinics during the month of May at the A-Game Sportsplex. Details as well as registration information is below. If interested, please sign up online by clicking on the below link. Who can join us – All youth, high school and adult hockey players looking to improve their fundamental hockey skills. What are we doing– Two skills clinics led by Rick Randazzo. Rick is a former West Point hockey player and former college hockey coach. After the military, Rick went on to coach the United States Naval Academy team to over 120 wins, as well as represent the United States as a coach at the World University Games in Innsbruck, Austria. Rick is also an affiliate scout with the Sioux Falls Stampede of the USHL. Rick is currently the National Director for the Fellowship of Christian Athletes hockey ministry and is running skills clinics in all 50 states over a 5 year period. Tennessee is the 18th State on the 50 State tour. Our skills clinic are for players aged Squirt to Midget (High school) and Midget to Adult. On ice sessions will focus on skill development and are for players of all ability levels. Staff will be working with individual players to improve skills such as skating, passing, stick handling and shooting. Where – Clinics will be held at A-Game in Franklin, Tennessee. There is a $20 registration fee for each clinic which includes a FCA Hockey jersey and a FCA Hockey New Testament Bible. I wanted to send you a quick email to say "Thank you" for the clinic at Barons arena this past weekend on a couple of different fronts. Trevor really enjoyed himself, as did his little buddies that we invited along. I'm so glad that we could be a part of it and we look forward to seeing you again this Sunday in Mentor. As for the hockey, I really enjoyed watching you in action with the kids--both in terms of your obvious knowledge and skill level as well as in how you related to the players and their individual skill sets. All too often today in youth sports, there is a dichotomy and a choice that parents must make between "Growing in the child's skill set..." vs "Increasing/maintaining the child's love of the game". It was nice to see a coach that offered the opportunity to do both, and I thank you for that as a parent. My wife and I were Adult leaders of our church's High School Youth Ministry program before we had kids, and I felt like the whole afternoon had a very similar aura to one of our old weekend retreats in those days: You challenged the kids to be better, but yet supported them just as they were.